So far, the model railway idea series has had two doses of Southern Inspiration (click here for part one and here for part two) followed by some Western Pondering (click here) where I promised another look at the south west and this is it! 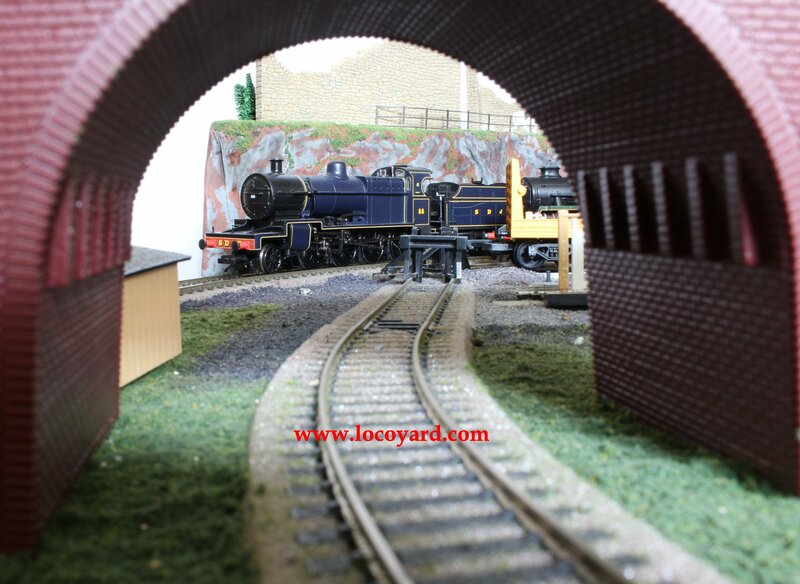 The Somerset and Dorset Joint Railway is one of the most fertile modelling subjects in England. The line ran through beautiful countryside,with tough gradients and a real mix of motive power and had an unusual life. Being owned jointly between the LSWR and Midland Railway it had a unique charm that continued into grouping with joint ownership passing to the LMS and Southern Railways. Nationalisation in 1948 lead to the line being incorporated into the southern region, but in 1958 the western region took over duties. Because of this mix, the line was operated by a wide variety of locomotives across three of the big four regions. In many ways the characteristics of the S&DJR didn’t help its survival. Steep gradients made for slow and expensive to operate trains whilst the route’s passenger services were seasonal, with little passenger traffic in winter months. The S&DJR was a victim of the Beeching Axe and closed in 1966. However, in some ways the last years of it’s life were some of the best for steam action. The line was famous for amongst many classes of locomotives it’s use of BR standard 4MT 4-6-0’s, 5MT’s, 9F’s, Bulleid light Pacific’s, Collett Goods, LMS Black 5’s, Fowler 3F, 4F, 2P and the unique 7F 2-8-0. 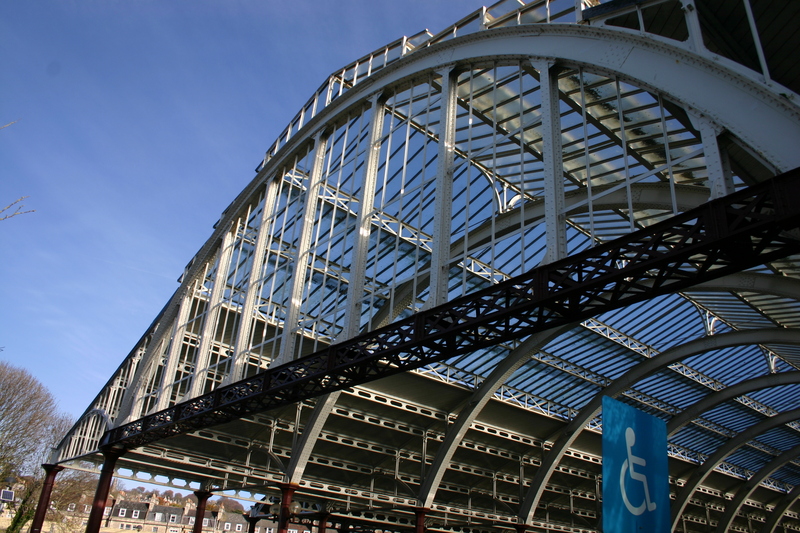 Remnants of the old line can still be found, such as the magnificent station of Bath Green Park, which serves as a supermarket car park (click here to read more.) 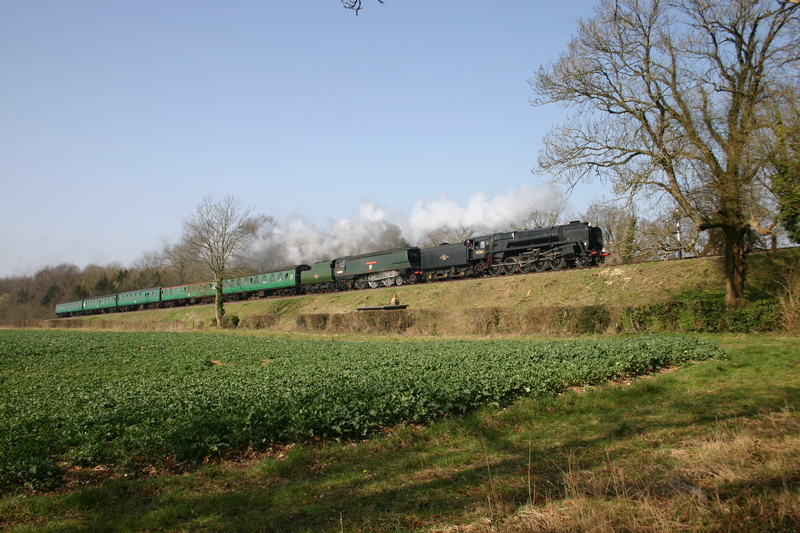 Long on my must-visit wishlist is the Shillingstone Railway Project – a former station restored to its former glory. 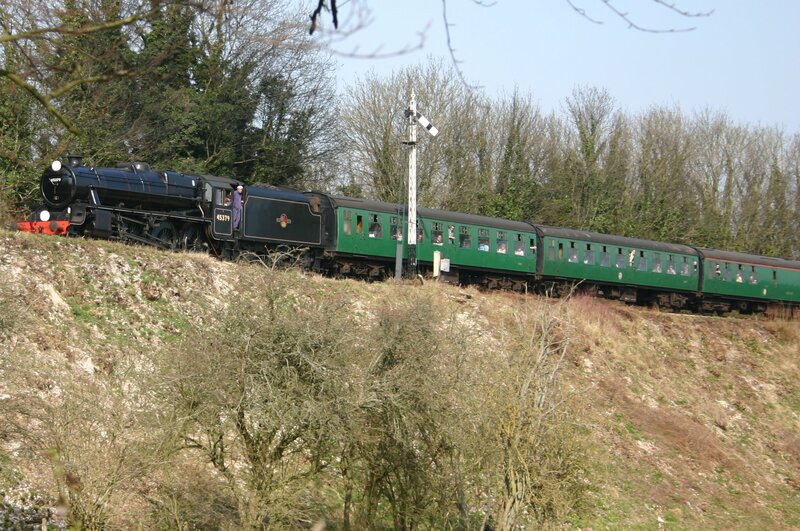 The Gartell Light Railway runs on some of the former line and old stock from the line operates on the West Somerset Railway. Other sections survive as paths and a short stretch is used as an access road during the Glastonbury music festival! There is a movement to re-open the S&DJR, which would be an immense task. I have always found the S&DJR to be a fascinating subject. I have also always been fond of the livery of the former company, which is why three Prussian blue model locomotives found there way into my model collection! Judging by what I hear about sales of limited edition S&DJR locomotives, I think I am not alone in liking this livery! Other things that draw me to the S&DJR, other than the characterful line and smart blue colours is that it was home to some of my favourite classes of locomotive. BR Standard classes, particularly the 9F, the ex-GWR Collett Goods, Bulleid light Pacifics are all favourites of mine as is the 7F 2-8-0. 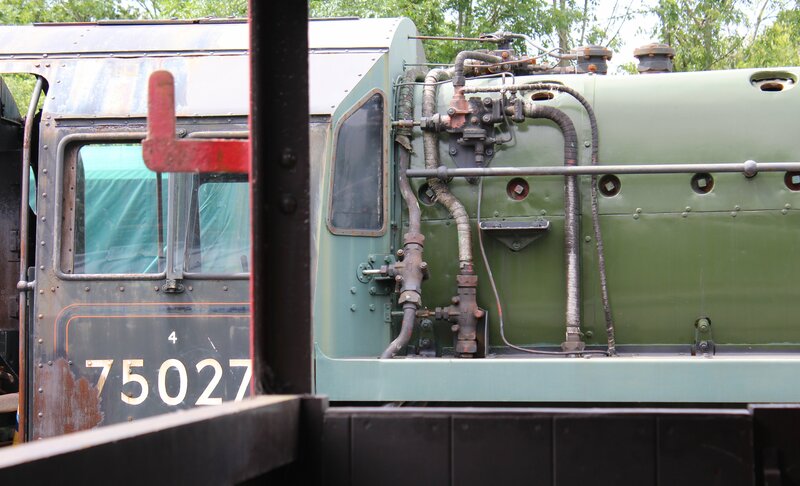 The large mix of locomotives means that S&DJR scenes are regularly recreated on preserved lines, sometimes on purpose, other times not intentionally! One classic moment was during a Watercress Line steam gala when a 9F was paired with a West Country class pacific, as seen below. Each time I look at a different potential area to recreate in model form, I see opportunities but also problems in recreating it accurately. Although I have plenty of stock that could be used on an S&DJR recreation, little of it was used in the same period. Ironically enough, the model of the 7F 2-8-0 in the locoyard collection, the quintessential S&DJR prototype, is in colours that it only ever carried in preservation, after the S&DJR was largely consigned to history books. Despite this, the S&DJR remains high on my considerations for the new locoyard model railway and with scenes like the one below regularly experienced on my local heritage railway, it’s not hard to see why! That premise is great for a flexible model railway, yours I assume? Not quite, I’ve gone for somewhere on ex LWSR territory right on the border with the GWR so I can have nice LSWR buildings but not get too worried about the presence of GWR stock 😀 My LMS stuff is awaiting the next layout I have planned, and my little LNER is just the famous engines which can legitimately be away from their natural habitat “visiting” on HRs!